Today I finished putting together my first Christmas village. The thought to start it came from the Delft Houses my husband gets when he travels KLM for business. 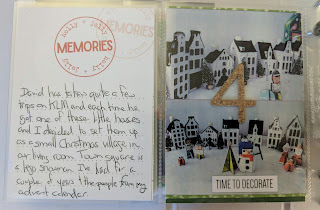 Adding in the advent calendar of townspeople I picked up for this year to fill the village out. They're a little too large to live in any of these village houses, but that's okay. It works for us. For the page design, it's pretty simple. 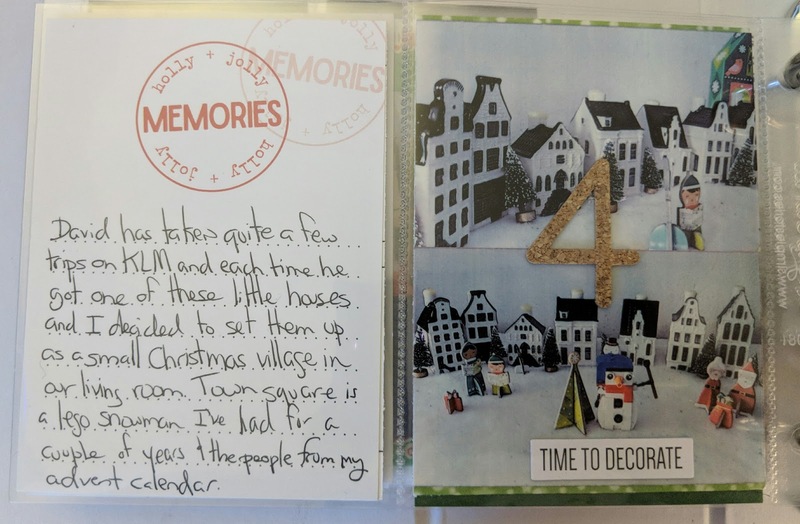 The two photos were printed on my Sprocket and the 4 is from an AE Story Kit this year. Added just one of the stickers from the Elle's Studio kit and called it a day before I go and add 5 puffy hearts to the page.